The Cessna 172 Skyhawk is the most successful mass produced light aircraft in history, yet it exists in a price range far beyond the reach of mortals. 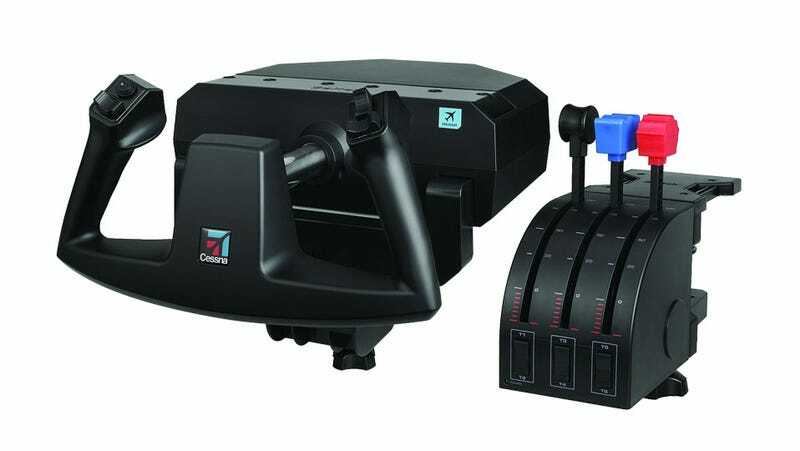 Its controls, however, can be yours for $450, courtesy of Mad Catz. The three controllers are now available at the GameShark Store for $449.99, and Mad Catz is even throwing in a $100 flight panel controller in for good measure. I don't even play flight sims and I want these, just so I can make realistic plane whooshing noises between news posts.